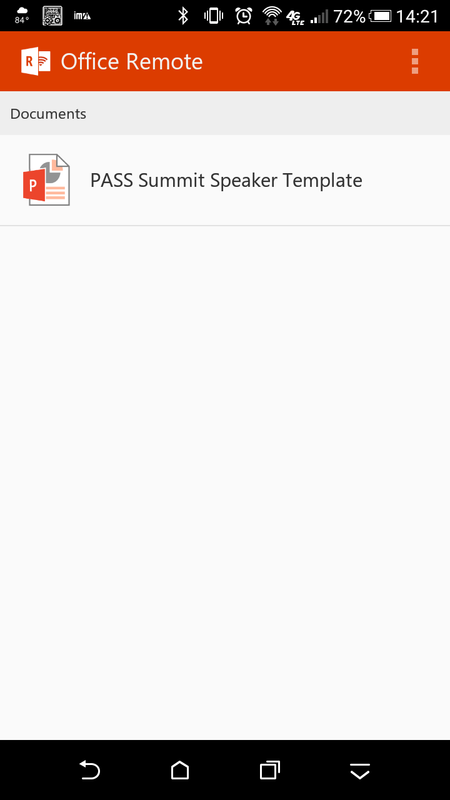 While practicing for the upcoming PASS Summit Speaker Idol contest it occurred to me that it would be great if I could use my Android phone to control my Powerpoint deck. I also recalled Lindsay Clark holding her phone while she was doing her talk this past week at SQL Saturday Orlando. So, I searched the Google Play Store and lo and behold there it was, Office Remote for Android. The instructions to install it are very good but I did have issues getting my laptop to pair with my HTC One M9 phone. To resolve the issue, I had to uninstall and reinstall the Bluetooth drivers to get it working because my Windows 8.1 laptop wasn't recognizing ANY Bluetooth devices. Also, I set the Log On as account to NT AUTHORITY\LocalService for the Bluetooth Support Service. It was then able to find my phone and pair with it. The following links were very helpful. I did not have to do the registry change suggested in the first link to get this working. When using Office Remote, close all other apps so that it displays the previous and next screens properly, otherwise they may be blank. I'm guessing this was simply a resource issue on the phone. 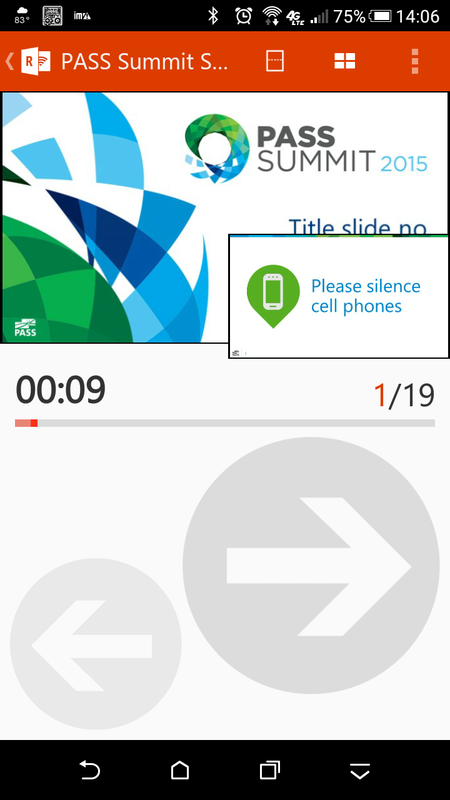 Office Remote shows you basically a miniature version of Presentation Mode. There is also a laser pointer that can be invoked by simply touching on the current slide and moving your finger around. The "New Microsoft" has outdone themselves with this app! 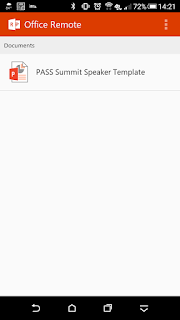 PASS Summit 2015 Speaker Idol Contestant!